“We are moving into a season where we will have all four seasons in this season”. I was startled, and asked the Lord : “What do you mean?” And this is what I felt him say to me. He said “This new season in the kingdom is going to be all four seasons in one season. You won’t be able to pinpoint what I am doing because it’s going to keep changing direction”. I believe the Lord is doing this to capture the whole flow of church and people. Not just one stream, denomination or style but every person who turns their ear to him. Every flavour and church expression will be captured by God. He will not leave anyone behind. 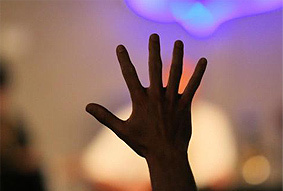 He loves his church – the whole church and He desires that all are impacted by His presence. We use the word revival a lot and this will truly be a season that is history making, but unlike some revivals in the past, it will be cast over not one people group, but over many. I see Catholics, Baptists, Pentecostals, Anglican’s, and the like kneeling side by side as we are all washed over by the waves of His presence over and over again. And just like when a season abruptly changes – just as we feel comfortable with what the Lord is doing, He will change direction and there will me ‘a move within a move’. He will rise in the east, and then on another day, He will rise in the west, so to speak. He is not doing this because He is changing His mind, He is doing it so that none will be left behind. There will be no one in this move that will say “I missed out” or “I was in the wrong church or denomination to experience this”. He desires all to be impacted by His nature. For this is truly a season of greater signs and wonders, no matter what church experience we have had. Part of this ‘change of seasons’ will be signs and wonders occurring in the strangest of places. There will be many things that occur that will not make sense. The temptation will be to say this is not a move of God because we don’t understand it or because it is manifesting differently than before. God is asking us to keep our eyes and hearts opened so that we may see his many facets. Like a diamond has many sides, the Lord will reveal not only different expressions of himself, but new expressions of himself. Mosques will be filled with the presence of God and marked by healings. The Lord is going to appear as the saviour of the world to those who have previously seen him only as a prophet. His kindness will lead them to repentance. His love will draw them to love Him. Artists – songwriters, dancers, vocalists, painters, will begin to create differently and the same at the same time. This may not make sense but it’s all about the theme of ‘four seasons in one season”. There will be moments of inspiration, where artists will surprise themselves because they are creating in ways they never dreamed they could or expected they could. Then there will be moments where the flavour and style that they are known for will emerge again . This is not to be perceived as a ‘falling back’ to an old style, but rather sovereign moments where God will bring downloads that will ‘map’ out their destiny and take their authentic originality to different places. Once those ‘marking’ points take place – influence and impact will follow. This is going to be a time where authentic artists will begin to understand the importance of connecting what they do to their own personal history, but on a broader scale, the cultural history of their nation or people group or church. Again the theme of four seasons in one season will emerge here – for as the artist delves into the ancient, new things will also emerge. There will be a ‘meshing’ of the two that will truly create a doorway for others to experience who Jesus is. The arts will be a testimony of faith. This new season will also see an emerging of all the arts being expressed strongly within the church. Up until now, worship music has been the main and most popular expression amongst congregations. We are going to see the power of dance, painting, and lesser known art forms take centre stage as expressions of our worship. Church is going to look a whole lot different! No longer will it be about joining together to sing a few songs and hear a message. Expressions of our faith are going to be so different from what we have known and it’s going to be freeing for many people. Multiculturalism and an acceptance of other races, including the owners of our land, will truly be alive and well in this season, as lovers of God stand side by side for the greater pursuit of loving Jesus. As love marks this next move, differences will not just be set aside, they will dissolve as the greater theme of loving one another and God erupts in the hearts of all who truly love the Father. There will be such a respect amongst one another that it will be breathtaking. Even though we all have desired for racism to end, there has been an underlying wrong belief system that racism will never end – that it will be here for ever in some form. But I believe that although globally we may never see an end to racism, different pockets will experience the death of racism in such a way that it will be one of the signs to the world of a true move of God. Long standing and generational grievances and offences will be as nought because our experience of who Jesus is will be so overwhelming that who was wrong and who was right just wont matter anymore. I have already mentioned that this season will affect all denominations. I rejoice in this! That God would desire that none would perish. We are going to hear some of the most amazing testimonies from people within the Catholic church and the High Anglican church. For those who have been in the church for a long time, we know that passing on a legacy to the next generation has been a focus as we raise up our younger brothers and sisters to continue the work of the Kingdom. However, this has also led to the wrong belief that when you reach a certain age you are no longer needed or used in a greater capacity than previously. This is a lie straight from Hell and it has been designed to continue an orphan spirit in our churches. If the enemy can take out the mother’s and the fathers – the next generation, no matter how anointed they are, will not have a legacy and identity. God does not have a retirement plan and He never puts people ‘out to pasture’. The challenge will be to understand the seasons and know when to let go and move to the next phase the Lord may be calling us to, or to continue the work the way it’s always been done. Neither is wrong if it’s what the Lord is desiring. However, the idea of stepping aside so that someone else can rise up is a wrong mentality. God does not diminish one to raise up another. There is room for everyone, regardless of age! In this season the generational aspect will flourish in it’s purest form. Young and old will truly stand together, learning from each other, loving one another. There will be respect on both sides and room will be made for each other. There will be a flow of young and old, a backing and forthing as it were, as the season shifts and changes. Just like a wave rolls back and forth but is in complete syncronicity with its surroundings, so will this generational aspect be. This season will be about family. The will be an embracing aside from ‘doing the work of the ministry’. This will not be about standing together for a common goal, although of course that will happen. This will be about loving each other so dearly that we do life together. Church will no longer be about services and events. It will be about meals together, holidays together, days spent sharing experiences together. Experiencing the highs and lows because we love each other. I see a rise of small groups and gatherings in peoples homes being the strength of this season. There is going to be a ‘slowing down’ as people realize doing life with one another is far more important than programs and growth. Of course when implemented correctly those things have their place, but the focus will be on being a family. And a family creates memories and legacy. So why is the Lord revealing this now? I feel the Lord is asking us to be AWARE. Understand what is happening around us. He is revealing this now so we can look and see the signs. It is to help us understand what is coming. He is saying if we become rigid and only assume He will move this way or that way, we will not only limit what He can do in our lives, but we will miss out. We need to be pliable in this season. One of the Lords frustrations has been that because we are wanting to be careful with our theology and guard our heart from being deceived by assuming something is a move a God when it really isn’t, that we are missing a lot of what He is wanting to do. Theology and having open eyes are always going to be important, but He is saying it has become such a strong focus that we have closed our hearts to many things He is wanting to do. I feel He is saying to take a deep breath out and let go. As we embrace more of what He has for us, He will help us understand what is about to take place. And as the four seasons move, we would move with it. Amos 9:13 “The days are coming,” declares the LORD, “when the reaper will be overtaken by the plowman and the planter by the one treading grapes. New wine will drip from the mountains and flow from all the hills.